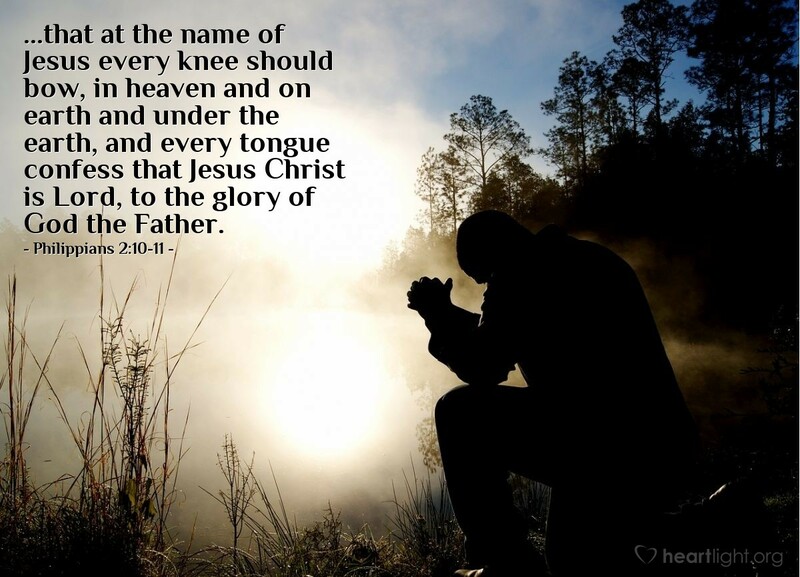 I love the fact that I do each day what everyone will one day do: bow before the majesty and proclaim the Lordship of Jesus Christ to honor the Father's glory. How wonderful it is to be able to make that proclamation because of grace rather than in fear at the end of a life that has been spent in what is rebellion, denial, and waste. Father, I do praise you for the truth about Jesus that will one day be realized fully by everyone who has ever lived. May my life display that truth in the way I treat people today. May my lips suitably proclaim that truth so others can know Jesus as Lord today. In Jesus' name. Amen.